The current collaboration between RLUK and OCLC focuses on understanding how the distinctive system-wide perspective that WorldCat provides can be used to bring about deeper collaboration around collections management in the RLUK consortium. As noted in the first blog entry in this series, OCLC Research has a particular interest in examining the aggregate RLUK resource in the context of a broader portfolio of work exploring collective collections. 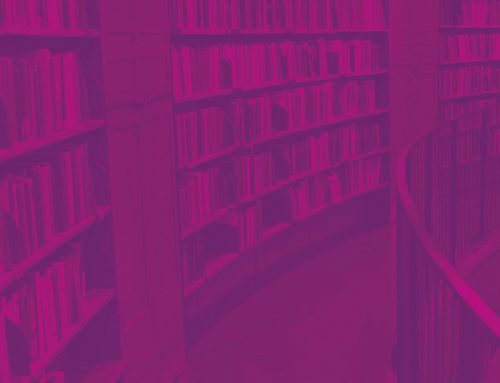 One of the issues we are especially keen to explore is whether the patterns we have observed in analysing the collective collections of US academic libraries also hold for RLUK, or whether other distinctive characteristics will emerge. 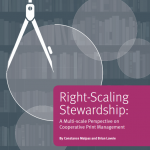 In a recent study, Right-scaling Stewardship: A Multi-scale Perspective on Cooperative Print Management, OCLC Research examined the collective print book collection of 13 major research libraries in the Committee on Institutional Cooperation (CIC), a long-standing partnership of universities in the American Midwest. Like other research libraries, CIC members are grappling with significant library space pressures combined with expanding stewardship responsibilities for print and digital collections alike. Because all CIC member libraries are partners in the large-scale HathiTrust Digital Library preservation partnership, they are particularly interested in understanding how they can leverage their combined investments in digital preservation to support new approaches to print management, both individually and collectively. CIC libraries also participate in a reciprocal borrowing arrangement (U-Borrow) that supports efficient inter-lending, enabling patrons at one institution to request materials directly from other CIC partners without searching multiple catalogues. Among CIC institutions, there is no doubt that collaboration is a key component of local print management strategies; rather, it is a question of the optimal scale of collaboration. Using WorldCat data, OCLC Research was able to model different scenarios to assist the CIC in understanding the benefits and trade-offs of various ‘above campus’ arrangements. Our study of the CIC collective collection resulted in three key findings. Firstly, scale adds scope and depth. In other words, as the scale of cooperation increases, so does the diversity of the collective collection. This means that collective action at the scale of the CIC would result in preservation of a broader range of books, as each member contributes something distinctive to the aggregation. In the case of the CIC, three-quarters of the collective print book collection was held by three or fewer CIC libraries. This is a positive finding, as it suggests that each CIC library has something to give and something to gain through consortium-scale stewardship and that this benefit scales. In all likelihood, this finding reflects the distinctive character of very large research libraries, which tend to prioritise collecting ‘long tail’ specialist resources that are not widely duplicated: the more partners like these you aggregate, the more hard-to-find titles are likely to be preserved. The second key finding from our CIC study is that scarcity and uniqueness are relative to the scale at which duplication is measured. That is, while increasing scale broadens the scope and depth of a collective print book resource, it also expands the core of more widely-held materials. The CIC offered a vivid illustration of this pattern, with relatively low bilateral duplication rates across the consortium, but very high duplication rates when a single institution was compared to the consortium as a whole. Similarly, books that appear to be relatively scarce at consortium level may in fact be quite plentiful at regional or national scale. This suggests that if space recovery is a primary driver of collaborative stewardship, preservation agreements may need to be negotiated on a very broad scale. This is clearly relevant to ongoing discussions about the proposed National Monograph Strategy and the optimum scale of monographic preservation in the UK. A third finding, coverage requires collaboration, is a corollary of the first two. Given the relatively low bilateral duplication rates we saw in the CIC collection, it is clear that multi-institutional cooperation will be needed to secure a representative (if not comprehensive) share of the collective print book collection. Beyond looking at title level duplication within the CIC, we also looked at the individual and collective coverage of different topical areas and found clear evidence of complementary acquisition patterns, with multiple institutions purchasing related but different materials in the same subjects. 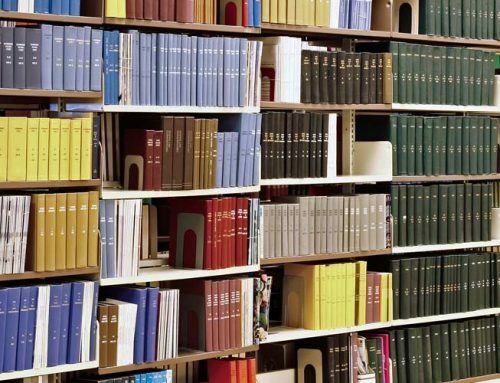 An implication of this is that deeper and more conscious coordination of both prospective acquisition and retrospective stewardship is needed if academic libraries are to preserve a holistic representation of the scholarly and cultural record. At any scale – consortium, regional, national – extensive collaboration will be needed to achieve substantial coverage of the aggregate resource. An important question for RLUK (and other research library groups) is whether existing cooperative infrastructure is sufficient to support coordinated stewardship at the desired scale. Examining the RLUK collective collection is a first step towards understanding how stewardship responsibilities might be reorganised and coordinated as a collaborative, above campus effort. RLUK and CIC differ in some important ways, and it will be interesting to see if larger organisational differences are reflected in their collective library collections. One key potential difference is the possible role of the British Library, as provider of preservation and access services to the UK HE library community. While CIC libraries have largely favoured group-scale solutions, RLUK libraries may look to the BL as a national-scale provider of monographic preservation services. Alternatively, regional partnerships might form within RLUK. CIC libraries are largely concentrated in a single geographic region; RLUK members are distributed across several national boundaries. Organisational differences between the CIC and RLUK are also likely to influence the way findings from the collection analysis are used. The CIC comprises a relatively small group of public and private universities and manages a wide range of consortium activities of which the library partnership is one part. RLUK is a larger, library-driven organisation embedded in a HE sector largely driven by national funding and policy structures. This may mean that decisions taken by RLUK have a broader impact on library stewardship across the UK, which is another compelling reason for OCLC and RLUK to collaborate on this research project. We are pleased to be working with a motivated group of RLUK library staff from King’s College London; the Universities of Birmingham, Bristol, St Andrews and York; the National Library of Scotland and the Wellcome Library on this project. As reported in earlier blog posts, good progress is being made on RLUK data loads to WorldCat and we anticipate that sufficient data will be on hand by the end of August to enable us to begin really digging into the analysis in September. If you are interested to see your collections included in the project, please make sure you contact Paul Shackleton to ensure your data load project is queued up for loading this month. If you have any questions about the project, feel free to contact either of us directly.